Small evergreen of clump-forming subshrubby habit. Upright, usually unbranched, stems with dark green, ovate leaf-like cladophylls, up to about 8cm long. Small flowers are produced at the centres of the cladophylls and on female plants may be later followed by red berries. Will grow in most soils, prefers some shade and will grow in deep shade under trees. Tolerates periods of drought once established. Not very cold hardy and top growth may be damaged by frost. 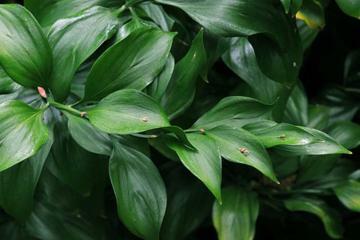 The long lasting cut stems are often used for foliage effect in flower arranging. It is grown commercially for this purpose. Native mainly to northwest Africa and also probably southern Spain. Unusual in than the apparant 'leaves' are in fact flattened stems (cladophylls) which bear the flowers and fuit. Sometimes known as Florida, Israeli or Holland Ruscus simply because it is either grown or traded there as a floristry crop.